Did you know that every Facebook Fan Page wall has an RSS feed that can be subscribed to, grabbed, embedded, and everything else you can do with RSS? The cool thing about a Facebook Fan Page RSS feed is that you only get that Fan Page’s updates in the feed – you don’t get all of the other comments from fans. If you use Firefox, this is really easy. Just visit the Facebook Fan Page and you should see the orange RSS box to the right in the address bar. Just click that RSS image and you’ll be taken to the RSS feed itself where you can subscribe to it in your favorite RSS reader. You also just go to your Google Reader > click “Add Subscription” in the upper right hand corner, and enter the full URL of the Facebook Fan Page you want to subscribe to. ** CAUTION ** With Google Reader, make sure you are only putting the URL of the Facebook Fan Page itself, without the addition attributes that Facebook likes to add at the end of URL’s. Notice the “?ref=ts” part is left off. If you were to include the “?ref=ts” part, then you won’t be able to subscribe to the feed. Finally, you can add the Facebook Fan Page URL (as I just described above) to something like FeedBurner, and create a new RSS feed. Just enter the Facebook Fan Page URL in FeedBurner, follow the steps, and you’ll now have a FeeburnerFeed of your desired Facebook Fan Page. And once you’ve got your FeedBurner feed of your Facebook Fan Page, now you can have people subscribe to your Fan Page via email, and a whole myriad of other RSS feed subscription techniques. 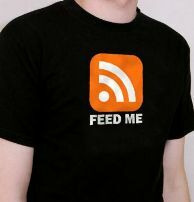 Did you know that your Facebook Fan Page had an RSS feed? For some reason, I’m just now realizing this…. hmmm…. Do you know if there is a way to also get the Fan postings to the wall. I am interested in using the feed as a way to monitor activity on my own fan page. It would also be nice to get comment notifications. Hi David – this is basically the same response I gave in the Facebook forum – the default structure of the Facebook RSS feed is to show only the updates of the page admin on any given Facebook Fan Page, and not include any updates, comments, posts, etc… generated by fans. There may be a way to tweet this feed to include fan updates in Yahoo Pipes, but I have not seen it, nor have I played around with it. I will see what I can do, but as it is now, the Facebook Fan Page RSS feed will only show admin updates. I want to include the comments from the fan in my RSS feed from facebook. Is that possible? Hi Michael – the default feed is just to show updates from the admin. I will play around with the feed in Yahoo Pipes and see if I can't tweek it to show fans, but for now it's just admin updates. I've discovered today that the fan page RSS feed is no longer publishing any data whatsoever, not even the XML prologue. Anybody else running into this? Hi Jeff – I notice the same thing. That is very strange indeed – I get a plain white screen when I click my Facebook Fan Page RSS feed…. weird! Let's keep an eye on it throughout the day and see what happens. Thank you SO MUCH for posting this. I feel quite silly now, that I've spent an hour trying to figure this out, and it's right in front of me in the address bar! Anyway, thank you. is there way to get mail notifications for every event created from a fan page i'm fan of? PS that's the code that works. When I drop in the FB page URL, it doesn't work. A) get the Atom feed to validate. B) using PHP, get the most recent post from a fan page. Does anyone have a solution to getting these RSS feeds from a fan page? I want also to include the comments from the fan in my RSS feed from facebook Page. A solution ?? ?